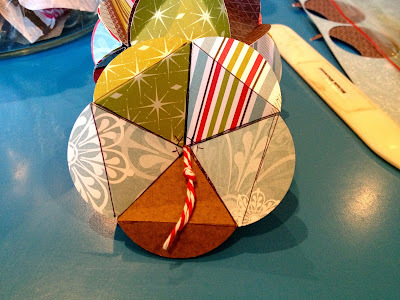 Tonight I am going to share with you a cute Christmas decoration that is super easy to make. A few years ago I started a Christmas tradition where each child gets a new Christmas decoration for the tree with the idea that when they leave home they have lots of decorations to take with them to share on their family's Christmas tree. This year I hadn't really gotten around to going out and getting each child a new decoration when I came across this cute tutorial by Lillyella to make Christmas decorations out of old holiday cards. I thought it would be super easy to adapt this and use up some of my Christmas paper stash instead of cards and each child could have their own homemade decoration this year. One of the finished decorations on the tree! 20 circles. I used a circle punch to punch out my circles. The larger the circle the bigger the decoration will be. You need an equilateral triangle, the size of your circles. Lillyella has templates you can print out that fits into 1", 1.5" and 2" circles here. Unfortunately, my circle punch was an odd size so I just drew an equilateral triangle and made my own template pretty easily. Create your template on a piece of cardstock so it is easy to trace around. Glue - I used Henzo Quick Dry Adhesive which is AMAZING glue. Twine or Ribbon to create the hanging part of the ornament. Firstly, punch out your 20 circles from your patterned paper. I found that having 5 different patterns worked really well as it gave you variety without getting two matching papers joined together when the decoration is finished. 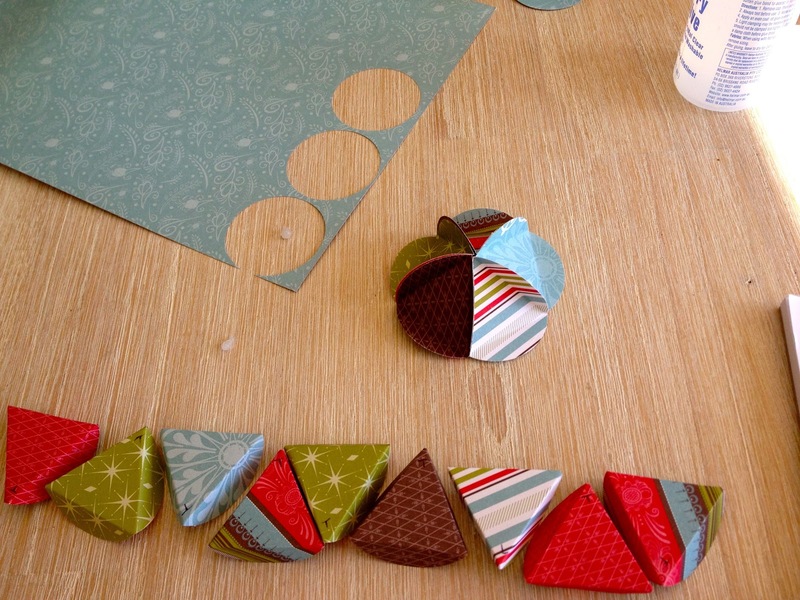 Then using your equilateral triangle template - score a triangle shape onto the back of each circle. The scored line needs to be on the back especially if you are marking it with pencil as you don't want to see this on the finished decoration. Note, I didn't bother using a pencil as I found it was just easier to skip straight to the scoring stage. When scoring your triangle onto the circle, make a note (I used a little T) to indicate the top point of the triangle. This is useful later when assembling the decoration. To finish the decoration - glue the three pieces together! 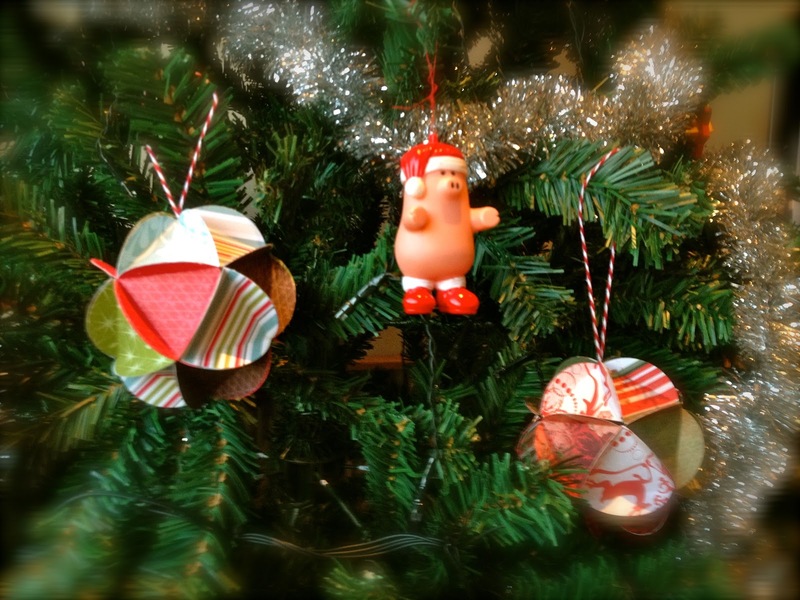 These look really amazing on the tree. I am just loving the handmade look and I may well start a new tradition of making each child a Christmas tree decoration instead of buying one. 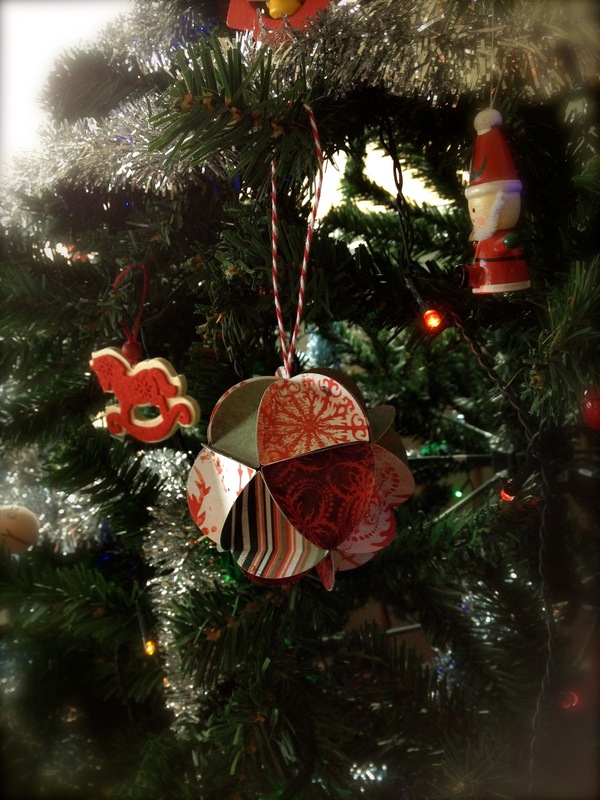 Thanks for stopping by and I hope I have inspired you to make your own Christmas decoration! !